LHSA wishes you a very Merry Christmas and a Happy New Year! Lothian Health Services Archive will close up for Christmas at 5pm on Thursday 23rd December, we will re-open at 9am on Wednesday 5th January. 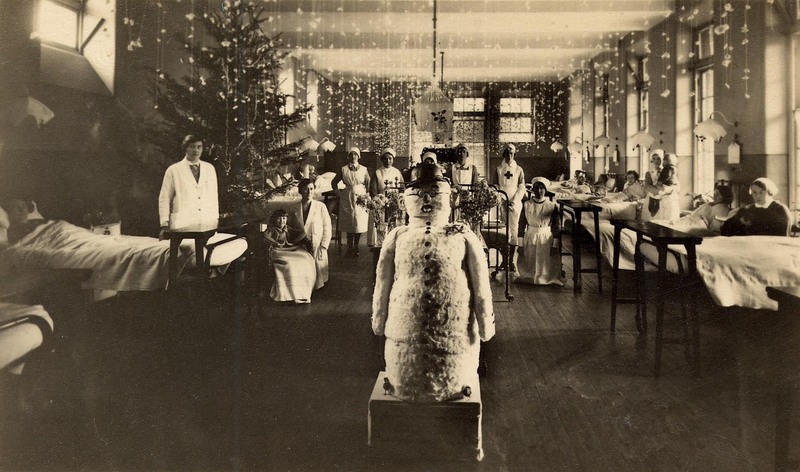 Royal Infirmary of Edinburgh domestic staff, Christmas, c, 1940. LHSA have put together a small festive exhibition on display in the Centre for Research Collections Reading Room, Edinburgh University Library. The display features photographs, a magazine, and appeal and Christmas cards from local hospitals. This image is of the Beilby Ward at Bruntsfield Hospital for Women and Children in 1937. The edition of the wartime hospital magazine, "The Craigleith Hospital Chronicle" shown in this exhibition which contains an article describing 'Christmas Day in Hospital' is also available to view online. The article begins at page 32. A new and exciting partnership was launched last week in Edinburgh, bringing together some of the city’s major institutions working in healthcare and the arts to deliver a project entitled ‘Unsung Heroes’. The Royal Infirmary of Edinburgh (RIE), Edinburgh College of Art (eca), Innovative Craft (IC) and Lothian Health Services Archive (LHSA) have established a formal partnership to research and deliver a major new project. 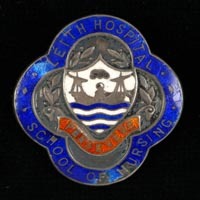 Working with postgraduate students at eca’s jewellery and silversmithing department, the project focuses on an historic collection of enameled badges held by Lothian Health Services Archive. Part of this collection relates to nursing and Edinburgh’s hospitals and healthcare from the early twentieth century through the two World Wars to the AIDS awareness campaign of the late 1980s. 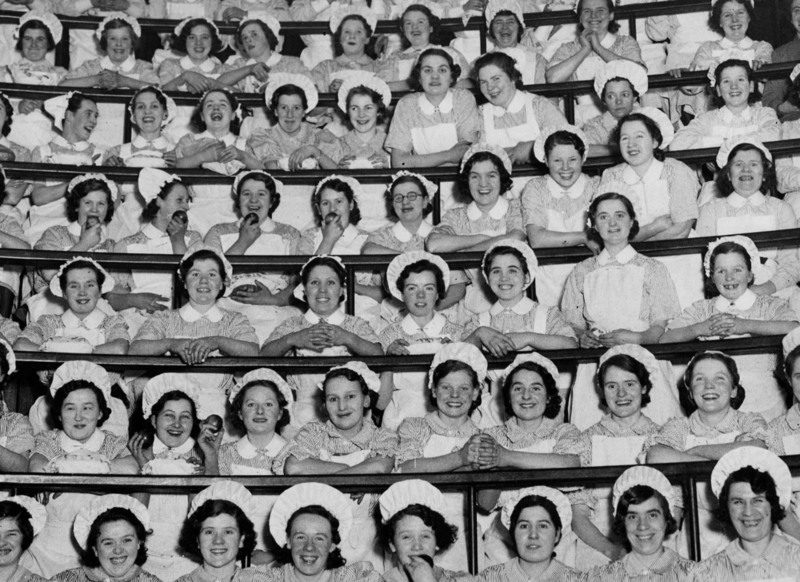 Volunteer nurses and students, trained by the oral history specialist at Lothian Health Services Archives will interview current and retired nursing staff wishing to tell their stories. These interviews will help to build up a picture about nursing life in Edinburgh in living memory as far back as WWII. 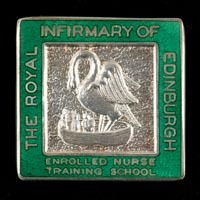 This collection of oral histories will be held by the Lothian Health Services Archives for future research and will also be explored by the jewellery and silversmithing students at eca, to help inform their creative responses to the historic badge collection as an integral part of the permanent installation at the Royal Infirmary of Edinburgh. Students will be working with enamel expert Elizabeth Turrell, who is based at the University of the West of England, Bristol. The project was devised by IC: Innovative Crafts working in collaboration with Ginkgo Projects. Ginkgo Projects deliver an ongoing public art programme for the Royal Infirmary of Edinburgh. IC: Innovative Crafts’ has also been helping with the curatorial process and it is hoped that an exhibition of the final project will be held in the city before permanent installation at the Royal Infirmary of Edinburgh. The project is currently looking for volunteers with an interest in people and a good listening ear to undertake oral history interviews. 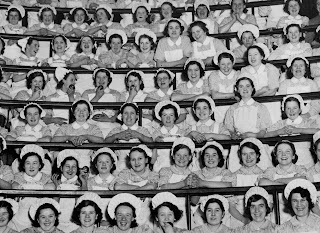 We are seeking to explore the history of nursing in living memory right up to the present day but also looking for anyone with memories of nursing during WWII or the Coronation Day Pageant of 1937 who may like to share their stories. New learning resource showcasing the historic archive collections of Edinburgh and Lothian’s campaign against HIV/AIDS. On World AIDS Day (1st December), Lothian Health Services Archive (LHSA) announces the start of a project to catalogue its historic collections relating to Edinburgh and Lothian’s fight against HIV and AIDS between 1980 and 2000. LHSA has collected a significant amount of material relating to HIV and AIDS over the past 20 years covering all aspects of the local response to this disease. The collections are of outstanding national significance and represent an un-paralleled insight into the history of HIV and AIDS in Lothian and in Scotland generally. The scope of the collections is wide and provides information on how different demographics were affected by the disease, and how the local health board tackled the outbreak in light of the affect on these different social groups. 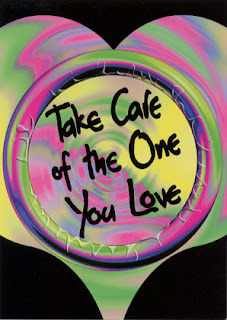 The collections include the official record of Lothian Health Board, in particular the hugely memorable "Take Care" Campaign but also those of campaigning organisations and charities. The type of material included in the collections is varied, from official reports and correspondence to eye-catching publicity resources including postcards, balloons, badges, and even condoms. Assistant Archivist, Alison Scott, who is cataloguing the collections said "What makes the work on these collections interesting is the range of responses to HIV/AIDS - from a local charity like the Leith Community Drugs Project to publications from the Department of Health. Having these collections broadens what people think our archive does". Dr Coyle, who recently completed her PhD in this area stated: "LHSA's HIV/AIDS related collections are a rich, varied and unique source, which offer insights into the local response to an epidemic disease and how this compared to responses on a national and international level. The material was extremely important for the purposes of my own research, which sought to determine differences between local and national perceptions of AIDS, revealing the significance of local factors in shaping policy, especially the medical response. These collections provide great scope to future researchers interested in the dynamics of local-national and international health policy decision-making processes, as well as relations between the state and voluntary organisations".